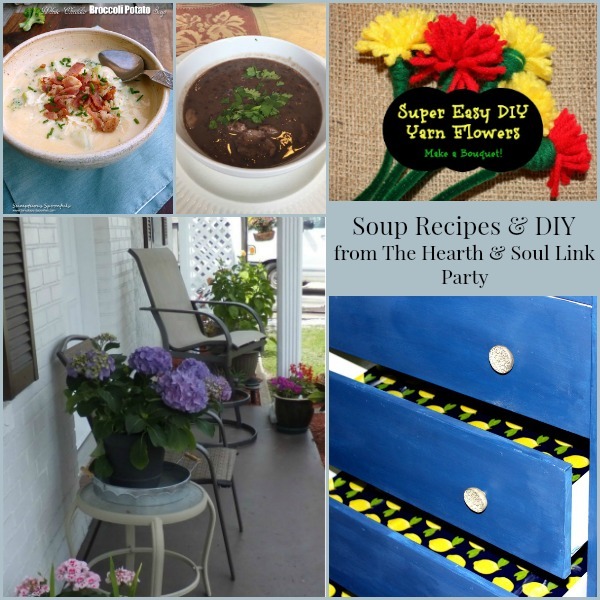 A warm welcome to The Hearth and Soul Link Party, where this week the features are delicious soup recipes and creative DIY projects. 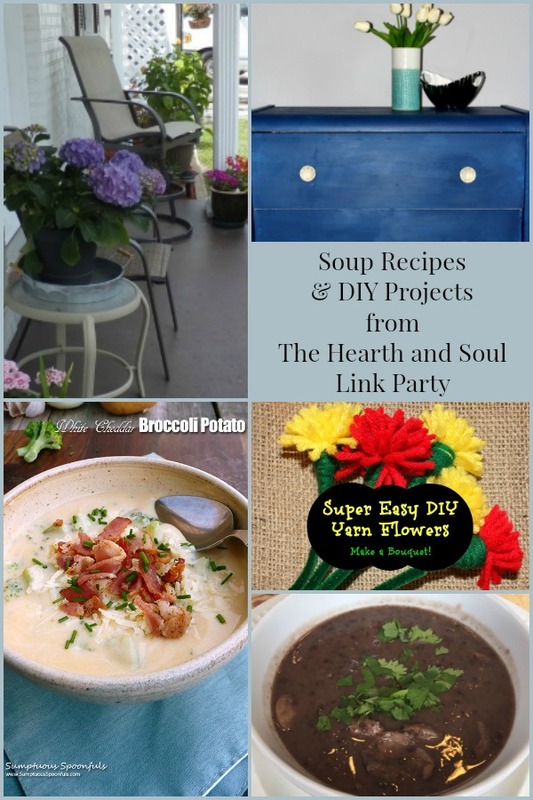 At The Hearth and Soul Link Party, posts about anything that feeds your soul are welcome – from family, home, decorating, crafts and DIY to travel, organisation, book reviews, the arts and self improvement. And of course, food from the hearth to feed your soul is a real favourite here too! My Zucchini Lemon and Chia Seed Muffins taste so good, your family won’t realise they are good for them! Not only are my easy Short Ribs in a Sweet and Spicy Sauce made in the slow cooker, they are a fantastic make-ahead meal. In fact, I think they taste even better a couple of days after you make them. Love Afternoon Tea? I’m always on the lookout for new places to enjoy this very special treat. 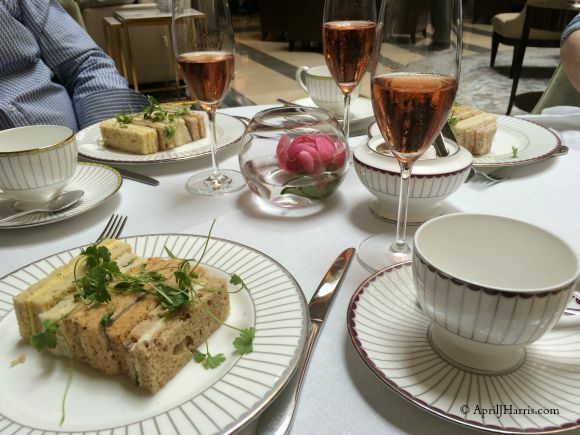 Don’t miss my Favourite Places to Have Afternoon Tea in London. Find out which restaurant/hotel does my favourite afternoon tea (so far). Want more? Be sure to follow me on Facebook,Twitter , Pinterest and Instagram. And please subscribe to my newsletter! Thank you to everyone who visited and shared last week. I love that Hearth and Soul is such a friendly community and that we all visit and share one others’ posts! Sharing links here means you are happy for me to share and feature your posts and photos on social media and here on the blog. Anything I share will always be properly credited to you and your blog. There’s also a Hearth and Soul Link Party Facebook Page. Come and see if your posts are featured! Please do visit some of the other links and get to know other Hearth and Soul contributors. It would be lovely if you would share the party on social media. It’s exciting to see the party grow! April, thank you for hosting and for helping me get the word out about my fab tea/teapot/shortbread giveaway! I’d love to have one of your muffins today with my tea, but I’m staying out of the kitchen today! Thanks for featuring my Sausage and Black Bean Soup, it’s such a delicious soup for a chilly day! Thanks for hosting too April! My pleasure, Nancy 🙂 Thank you so much for sharing! Love your muffins. This week my recipe comes from Kashmir and feeds my soul. Sure, you like it! Thanks for featuring my spring porch. Have a great week! Thank you for visiting, Marilyn. Hope you have a lovely week too! 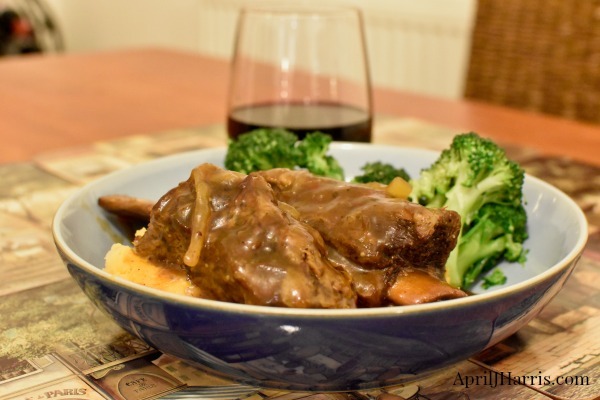 Your short rib recipe looks so good! I will definitely give it a try! Thanks for hosting the party. Thank you so much, Pam. Hope you are having a lovely week! That White Cheddar Broccoli Potato Soup looks so good! Have a great week April! April, I just love a good soup paired with a yummy muffin for a light yet hearty lunch. And any of the featured soup recipes would be fantastic with your muffins! This week, I am sharing my Roasted Honey-Dijon Salmon with Fresh Herbs which would be lovely to serve for upcoming Mother’s Day and graduation celebrations. Hope you are having a wonderful week and as always, thank you for all you do! Thank you so much, Linda 🙂 I hope you are having a wonderful week too! 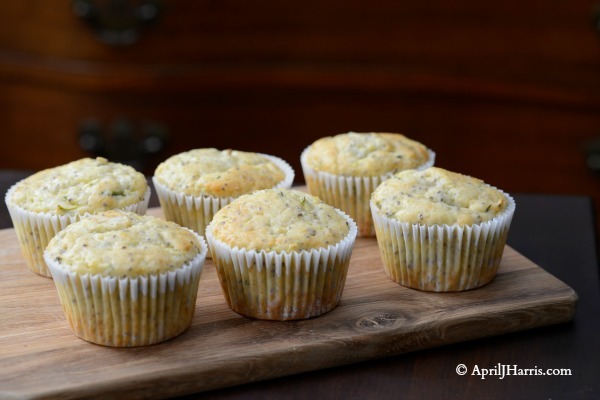 Hi April, these zucchini, lemon and chia seed muffins are tempting, I will check the recipe. Thanks for hosting the lovely party. 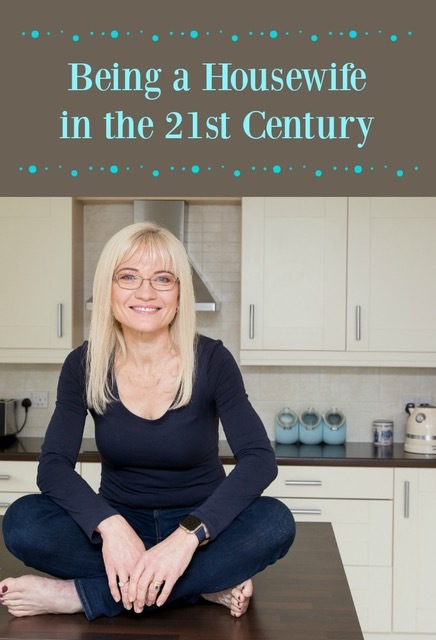 Today I am sharing my 100th post with you. Congratulations on your 100th post, Sadhna! I look forward to reading it 🙂 And thank you for the compliment about the muffins! Those soup recipes sound really good!! It has been rainy this week and will continue through the weekend. That’s not typical for us because we live in a semi-desert! Warm soups will really hit the spot! April, I came back today with my classic deviled (devilled) eggs. Was wondering if they are popular in England. Hi Jean, I look forward to your recipe as we love all kind of devilled eggs 🙂 In my experience, folks in England don’t know about devilled eggs, but they love them when they try them! I make my late Mom’s recipe every year for our Christmas cocktail party and they disappear so fast. In fact, last year I made 3 dozen eggs worth 🙂 People even ask if I’m going to make them for the party year to year. So between both our recipes, I think we can definitely make them popular over here 😉 Have a lovely weekend!